In 2010, when Veronica Rains and her partner, Jeffrey Bailey, started Wholesome Chow in Los Osos, Calif., their approach was hands-on, to say the least. They made the organic, gluten-free, vegan baking mixes in a commercial kitchen, did the packaging and labeling themselves and sold their product at a local farmers market. When health-food stores started stocking the mixes, Rains was thrilled--and overwhelmed. "We were hand-mixing all of our product, printing our own labels, sifting everything, portioning it into bags, sealing and labeling the bags. It was a lot of work," she recalls. Most small-business owners plan for growth, but that doesn't mean the business will grow according to plan. Wholesome Chow wanted to expand, and the partners knew their business processes needed to become more efficient. One of the first changes they made was to outsource the packaging. "Packages are powerful brand touchpoints," says Barbara Findlay Schenck, co-author of Branding for Dummies. "They're the physical interface between a brand and a branded product. They're also the visible point of contact at the moment when a consumer is shifting gears from the mindset of a shopper to that of a committed customer." In other words, the stakes are high, and letting go of control can be a challenge. But that's exactly what Wholesome Chow did. 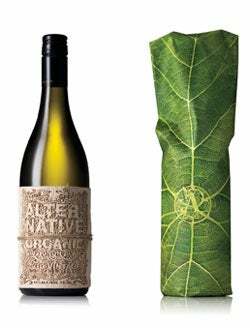 The company had been using Avery labels, printed on a home inkjet printer and hand-placed on each package--two labels on the front, two on the back. "We found a company to print labels for us at a fraction of the cost of printing our own," Rains says. Wholesome Chow switched to four-color printing on glossy labels that have an image of the product on the front and fold over to show directions and nutritional information. Small-business owners invest a lot of themselves in their brand identity, which can make change painful. "We went from taking the time to print and then place four individual stickers on our packages to having the labels printed for us and placing one big sticker on the front and back of our product. This saved a lot of time and money," Rains notes, adding that the revamped packages "look more professional and have a more 'standard food product' look, as opposed to a pieced-together item." Wholesome Chow is now carried in more than 600 retail outlets, including 50 Whole Foods Market locations in California. "Thank goodness we changed our packaging when we did," says Rains, who claims the new labels save her company approximately 32 cents per unit. She has decided to outsource other aspects of the business as well, and has been pleased with the results. "Before, we produced about 1,500 units per month. Now, in the next two weeks alone we'll process about 10,000 units, and this number is growing every month," she says. "We've sold in the last 10 days the same amount we sold in all of 2011." Even seasoned veterans aren't immune to the pitfalls scaling up can bring. David Stankunas, a self-described serial entrepreneur, had a jewelry business and a Vietnamese sandwich truck prior to his current venture, Beard Head, founded in 2009 in Los Angeles. 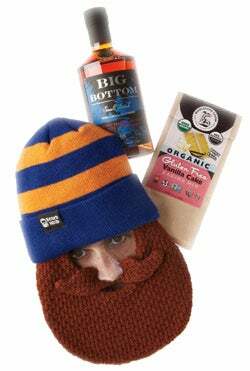 His company's whimsical hats, which keep the face warm with a fake beard, grew out of Stankunas' desire to sport a witty headpiece while snowboarding. He sold the hats online at BeardHead.com, where he had plenty of control over how they were showcased. That changed when he started targeting brick-and-mortar stores. At trade shows, retailers told Stankunas they weren't sure how to display his product. "They look amazing on mannequin heads," he says, "but having two dozen Styrofoam heads on display just isn't practical for 99 percent of the retailers out there." The feedback from the trade shows proved valuable. Stankunas turned to a packaging firm, but the artwork "didn't turn out quite like we wanted, so we decided to go with one of our own original designs," he says. "We came up with the idea for a slim cardboard face insert on our own. We created prototypes by cutting shapes into some leftover UPS flat-rate envelopes and drawing different faces on them." The process yielded critical insights: "Through different design iterations, we found that it was essential to have the nose of the cardboard insert cut out and placed over the Beard Head mustache, giving the package some depth," he says. Stankunas shrugs off the hassle of the transition. 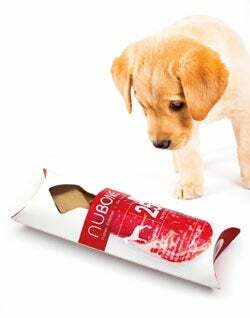 "When the time came for us to create packaging to move into a new market, we did it," he says. Another potential roadblock for repackaging: Small-business owners invest a lot of themselves in their brand identity, which can make change painful, as Ted Pappas of Big Bottom Whiskey found. "What's funny about the initial packaging is everyone loved it--especially when they had the bottle in their hand," he says wistfully. When he founded Big Bottom in 2010 in Hillsboro, Ore., the product's label was clean, simple black text on a white background, screen-printed on the glass. But when initial sales were below target, Pappas had a gut feeling what the problem was. In December 2011, when Big Bottom won two awards at the inaugural MicroLiquor Spirit competition, the feeling was confirmed. "We got the gold for taste, but only a bronze for packaging," he says. "We realized the labels weren't popping on the shelf--they'd just sink into the dark wall of whiskey. Consumers couldn't locate the product on the shelf even if they knew exactly where it was." Pappas responded by hiring a branding firm for a redesign. Now Big Bottom Whiskey sports paper labels--blue-and-black and brown-and-black--that are distinct from those of other brands and stand out from the liquor itself. Why the switch from screen-printing to labels? "There were production advantages either way," Pappas says. "We just went with paper because it has the look we want." The change has paid off: Pappas says sales in July and August were up 67 percent from the previous year. When design change becomes necessary in response to external pressure--like Wholesome Chow's rapid volume gains; Beard Head's new retail environment; or Big Bottom Whiskey's lower-than-expected sales--it can feel forced, and that makes some entrepreneurs uncomfortable. 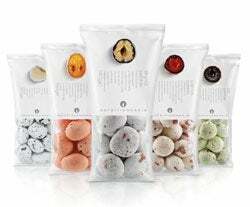 Not to worry, Schenck says--tweaking your packaging can be a brilliant strategic move: "It's a proven means of regaining market relevance and rekindling consumer interest." Great packaging doesn't just catch the eye; it's easy to read and interpret, offers convenient opening and storage and invites customer interaction. Package design website The Dieline celebrates the best with its annual Package Design Awards. Here, some of the big winners for 2012.